North Hollywood Chiropractor Greg Movsesyan, is one of the best chiropractors in the North Hollywood area specializing in chiropractic care and wellness. Dr. Greg Movsesyan is a chiropractor committed to providing pain relief for many symptoms and conditions so that you can have a higher quality of life. 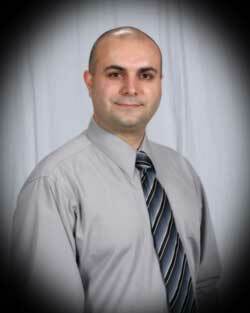 Dr. Greg Movsesyan is the founder of North Hollywood Chiropractic Center. He earned his Doctor of Chiropractic degree from Clevelan Chiropractic College, Los Angeles. He also received Associates in Arts degree from Los Angeles Valley College and Bachelors of Biology from California State University Northridge. During his college career at Clevelan Chiropractic College Dr. Greg Movsesyan participated in Hip Ostoarthritis Research as a treating intern. Dr. Greg is very passionate about chiropractic and has a tremendous dedication to his patients and his work.